The staff was very helpful and friendly. The hotel is in need of an update, specially the toilets, which were very small and dark but overall was a nice stay. Es war sehr dreckig..an den Wänden war Schimmel und es blätterte überall der Putz von den Wänden.. das Bett war voller Flecken sowie auch die Handtücher..das Personal war desinteressiert und die Infos bezüglich Aktivitäten waren rar und falsch..nicht zu empfehlen und gesundheitsgefährdend..
Super Lage, freundliches Personal, tolle Dachterrasse (windgeschützt und sonnig), wahnsinns FrühstückAngebot direkt am Meer!! Jederzeit wieder!! So, you're thinking about a holiday to Tel Aviv? If you'd like to find accommodation that's located close to the sights, you can enter your holiday dates and then use the filters beside your hotel search results to find somewhere to stay near the area's attractions such as Azrieli Center, Tel Aviv Museum of Art and Habima Theatre. 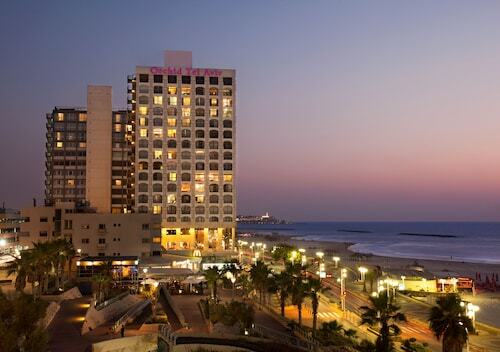 You can choose among 639 Tel Aviv hotels and accommodation options to find a place to stay. 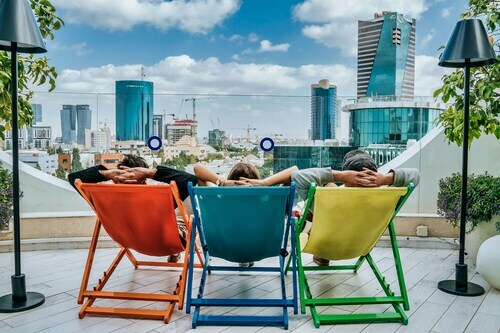 When you're thinking about where you want to stay in Tel Aviv, you'll be able to quickly and easily search ebookers for hotels offering services such as high-speed Internet, a swimming pool or free airport transport. 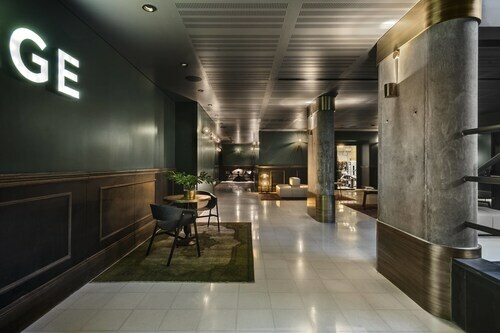 You can take advantage of the filters to narrow down your search for a hotel, so you get the services that are important to you, such as an in-room kitchen or air conditioning. When making plans for your trip to Tel Aviv, you can also use ebookers to look for a convenient flight to Tel Aviv (SDV-Sde Dov) Airport. You can narrow down your search by number of stops, airline or departure time to find the one that works best for you. 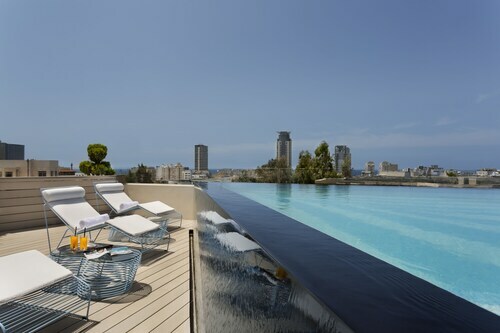 When is the Best Time to Explore Tel Aviv? 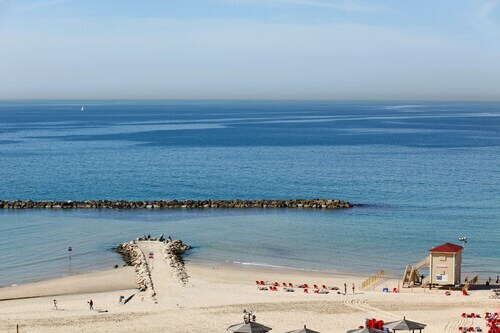 If you're curious when is the best time of year to visit Tel Aviv, you might find this info about seasonal weather helpful when planning your trip. The warmest months in Tel Aviv are typically August and July, whereas the coldest months are usually January and February. The months with the most rain are January and December, whereas June and August have the least. From January to March, the average daytime temperature is 23°C and at night it is 9°C. Seasonal average rainfall is 10 mm. If you visit between April and June, you can expect an average temp of 30°C during the day and 13°C at night. Average rainfall during this season is 1 mm. Between October and December, the average temp during the day is 30°C and 11°C at night. Seasonal average rain is 9 mm. Average annual rainfall in Tel Aviv is 20 mm. Great service, great breakfast and great location! Pool und Bar top. Personal super. Zimmer sauber, jedoch Zustand der Sanitäranlagen teilweise nicht sehr gut. not sure if they have cams installed in the rooms. 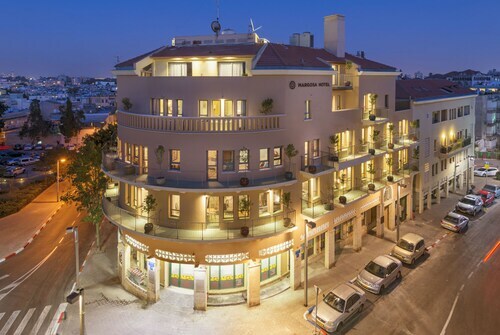 The hotel is walking distance from the old Jaffa. The breakfast was excellent.